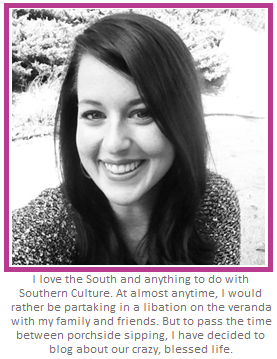 Brandi Nell the Southern Belle: Half Marathon Mondays... 10 miles! It's Monday! 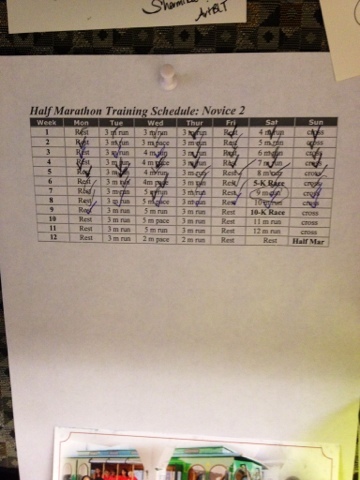 Time for another update on our Half Marathon Training. I cannot believe it is in less than a month now! That scares me half to death. As y'all know, last week I had some major issues with my foot. I couldn't even walk without a limp. After a few days or rest, icing, compressing, elevating, and a new pair of kicks - I am finally feeling like myself again, and back to running! WOO! I cross-trained on Monday, Tuesday, and Wednesday. On Thursday, I did a SLOW three mile run on the treadmill. This was the first time I ran in my new Nike Pegasus. It felt a little strange at first, but I quickly adjusted. On Saturday, Hubs and I had to do our long run... TEN MILES. This is the furthest we have ever run. The last mile, I was certain my legs were going to fall off. I swear they felt like the weighed 900 lbs a piece. I was very aware that my pace slowed down majorly. I think if I were going any slower, I would be going backwards! HA! This is definitely something I will need to continue to build on. We were both incredibly sore on Saturday afternoon. We went and got a recovery shake after our run. Ummm.... I had to sit in the middle of the floor in GNC. My legs literally couldn't hold me anymore and they didn't have a chair. If it had been any other day, I would have been super embarrassed. That day, I honestly couldn't care less. HA! I cannot believe how far we have come in our training. We are soooo close now! EEEEEK! This is the training schedule I have posted in my cubicle at work. I am also very excited that this weekend only calls us to run six miles. WOOO! Re-reading that statement makes me giggle. Who would have ever thought I would be excited about six miles... and thinking that six miles was the equivalent of taking a break!?!? WHO AM I?!? LOL! Hope your week is wonderful. I have a bathroom update and a delish recipe to share this week! Talk soon, friends! I am so proud of you! And how great is it that your hubby runs too? I am jealous. I need a running pal. Keep it up girl, you are my inspiration!